Just because store windows are your face to the world doesn’t mean that designing one has to break the bank. In fact, there is a certain charm, much appreciated by onlookers, in the ingenuity that goes into creating something spectacular out of something cheap. 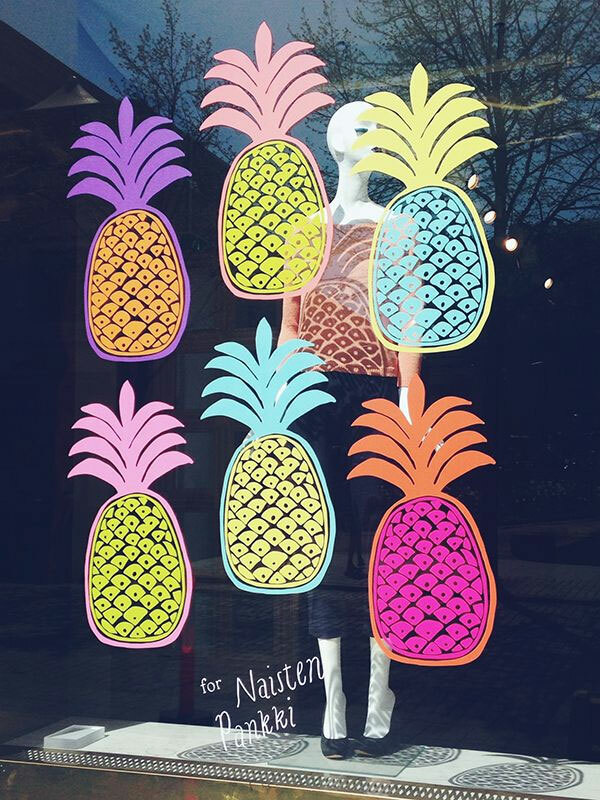 Below, there are a few examples of window displays of great visual power, that use simple materials. 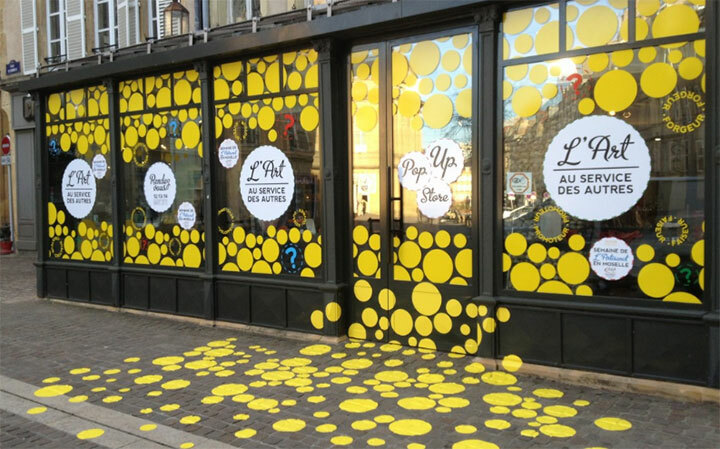 This colorful pop-up store in Metz seems to overflow into the street. Latex adhesive circles are used for the windows, while the sidewalk is covered with special adhesive cutouts. All these decorative pieces are removable. 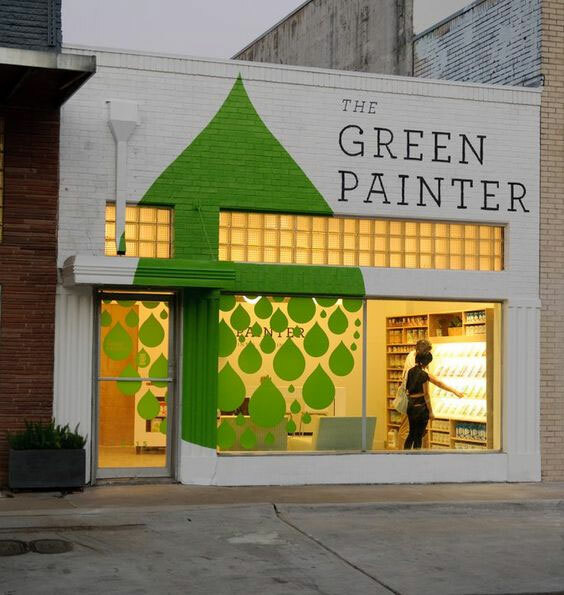 As a non-toxic paint and coating seller, The Green Painter store in the Rice Village district of Houston captured its whole eco-friendly philosophy in the simple design of its exterior. Green vinyl stickers in the shape of paint drops fill the front window, while a large green drop is painted on the front side of the store. The same simple idea of a two-dimensional decor is used by Erja Hirvi in the design of the Samuji window display in Helsinki. This time, the theme is pineapples, and the design is polychrome. 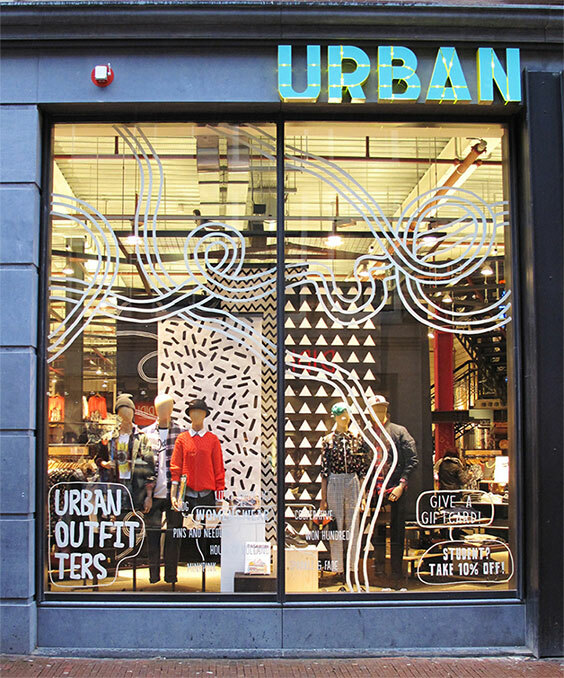 Requiring even cheaper materials (even though a more artistically confident hand), drawing on the window is a simple way to spruce up a window display, to write and send a message, to easily change your store front according to the season and to convince passers-by to throw a second look at the store, as in the case of this Urban Outfitters display in Amsterdam. 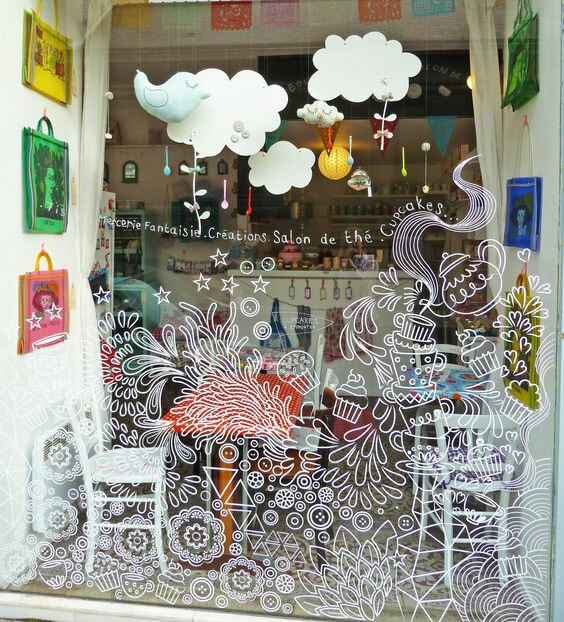 Finally, combined with other low-budget materials like paper and cheap decorative or functional items, such window art can take a slight three-dimensional twist.